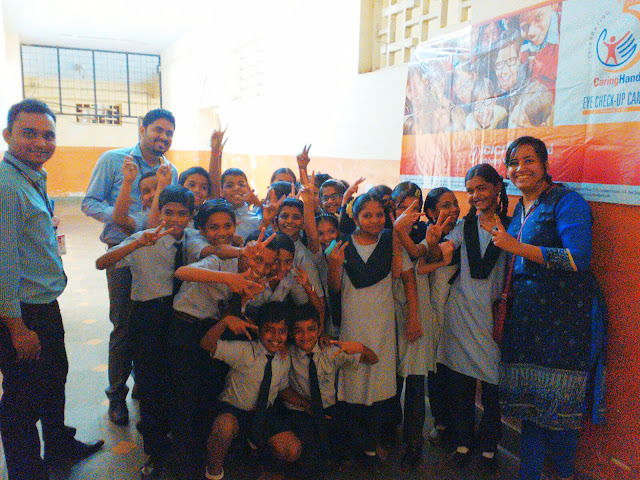 Caring Hands Initiative by ICICI Lombard. Look around and you shall notice a substantial number of children wearing glasses nowadays. During a child's first 12 years, 80 percent of all learning comes through vision and though eye health is an important factor in child development a lot of children suffer from undetected vision problems. Increasing competitive pressure, new technology, poor dietary habits & lifestyle, lack of proper nutrients required for optimal eye health are some of the factors that affect ocular health in children. According to WHO report, 90 % of visually impaired people are from low income settings and this puts a lot of underprivileged children at risk. 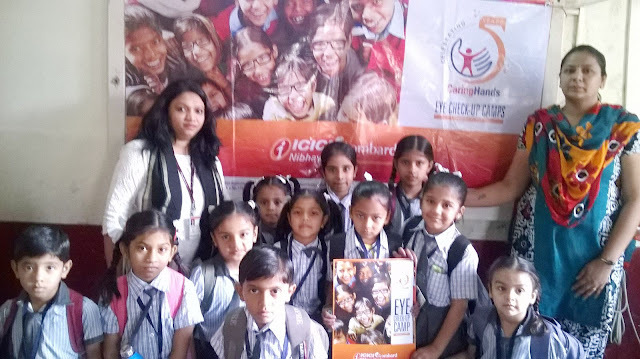 Early screening for detection of ocular diseases is extremely important to tackle this rising problem and one such endeavor we came across is called the “Caring Hands” campaign by ICICI Lombard that has undertaken several initiatives in the areas of preventive health-care, road safety and disaster support. 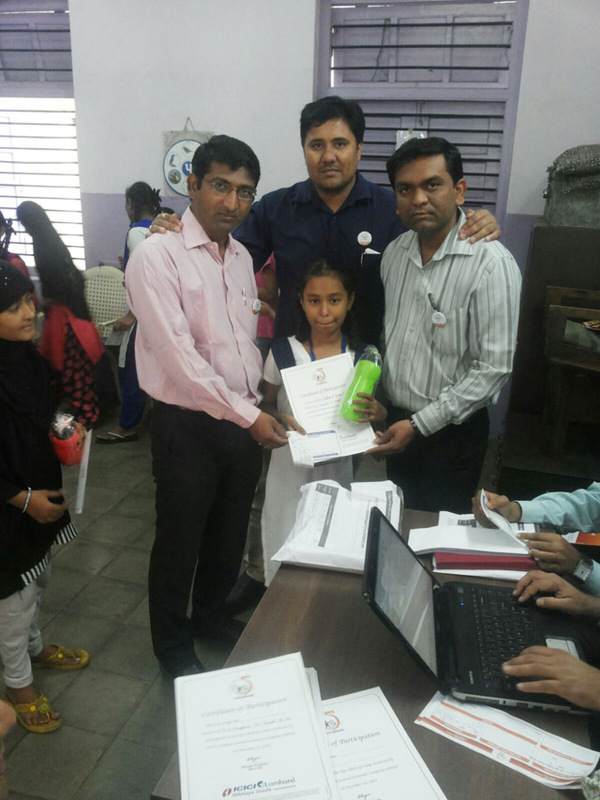 In the year 2011, employees came forward to directly contribute towards the upliftment of the society with an initiative that involved setting up health check up camps for students at municipal schools. In 2013, the scope of the initiative was sharpened to focus on preventive care of eye sight. The campaign focused on eye health needs of underprivileged children not covered under formal health-care programmes making it difficult for them to enjoy optimal ocular health. In its fifth year since inception, 28,000 economically challenged Indian school kids tested for eye abnormalities in a single day!!! That’s nice, we thought and decided to know more as the scale of the campaign was astoundingly huge. 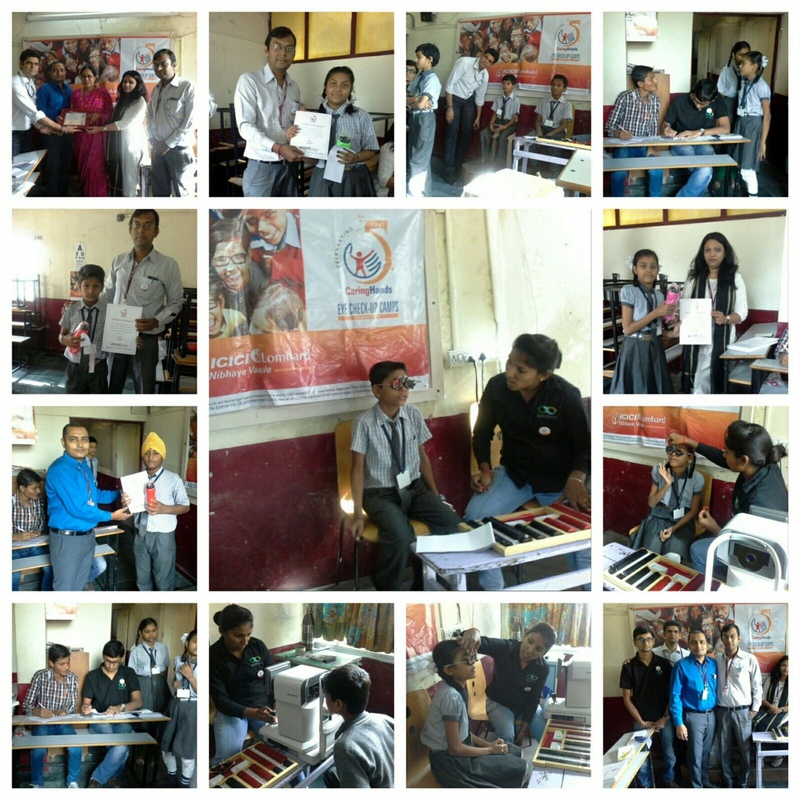 Children are our country’s future leaders & armed with this thought and their enthusiasm, ICICI Lombard’s employees along with professional health-care providers achieved a milestone on December 11, 2015. 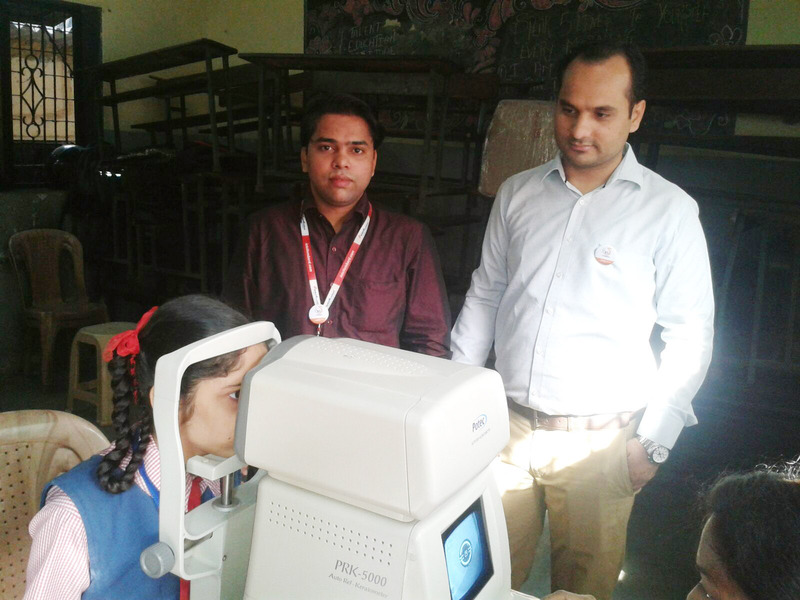 The exercise involved sourcing higher-end equipment and ophthalmologists and the free eye-checkups camps tested 28,574 underprivileged school children across 245 schools in 100 cities in India in a single day. Every year, the company provides guidelines & support to ensure consistency across branches. Over the last 5 years, the initiative has been benefiting more and more students. Starting with 11,000 children in the first year i.e. 2011, the number of children benefiting from the program touched 28,574 students in 2015. In fact, ‘Caring Hands’ campaign has successfully covered 100,000 school children across 300 schools since its inception in 2011. Across various locations, cross functional teams formed by employees handle the entire exercise giving them a chance to spread camaraderie amongst themselves & go back home with a sense of achievement. Caring Hands has received positive feedback from not only parents and their children but also school authorities across the country. Caring Hands is one more step from ICICI Lombard, a company that has always endeavored to go beyond its business focus and contribute to the well being of all stakeholders, including the community at large. ICICI Lombard, India’s largest private sector general insurance company recognizes that healthy children are the foundation of a healthy society in future. You can also read about the company's Ride To Safety initiative here.